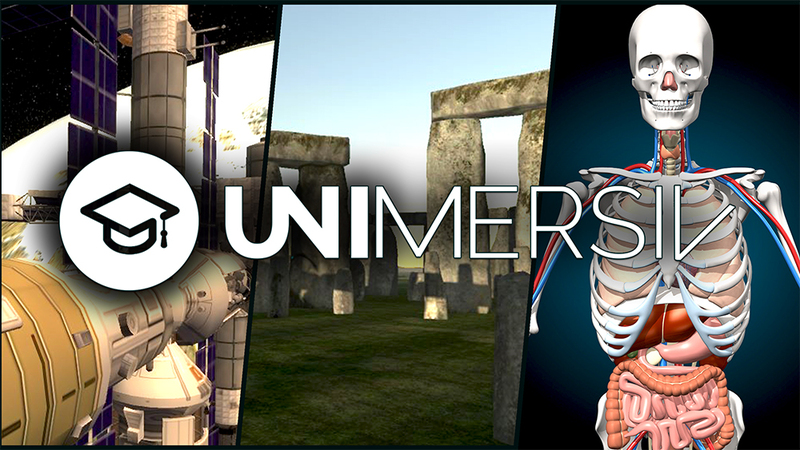 Unimersiv is one of the first VR-dedicated learning platforms that was released on Samsung’s Gear VR and the Oculus Rift. For some reason, I kept putting off my review of it for some time but now that its on Cardboard and Daydream I figured I’d better get on it. Overall, its a strong app with lots of potential. 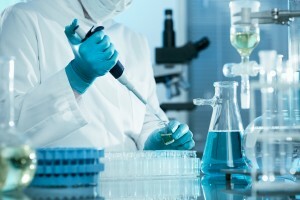 Its learning experiences are very specific and it tries to present content in a broad range of ways. 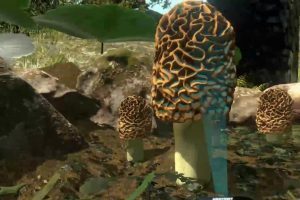 While it does some education in VR very well, it is in the broad range of offerings that Unimersiv misses the mark. Graphically well done and User Friendly – Most of Unimersiv’s offerings are digital versions of real places, people, or objects. The app does have a educational video viewer of mostly science videos (in 2D) created by guys like MinutePhysics and others. 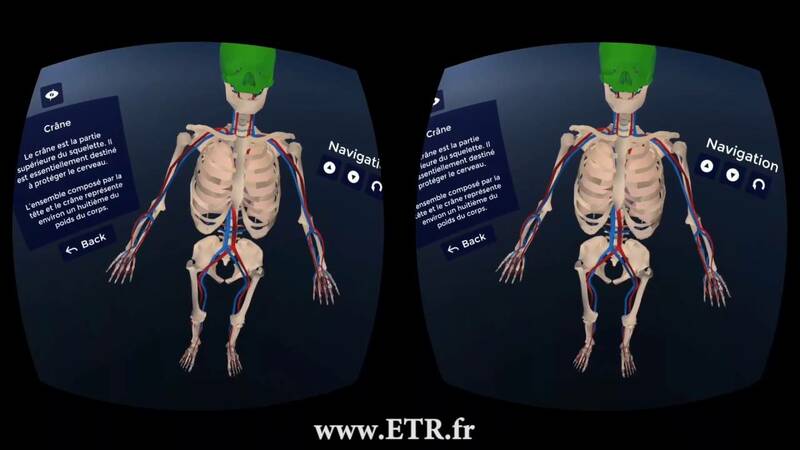 Anatomy VR – one of their free content offerings, Anatomy VR is an excellent rendition of the human body and its different systems. As a non-anatomy/biologically-trained person it looks extremely accurate and is full of names of bones, muscles, and body parts. “Free exploration” I found to be the most interesting; you can look at any muscle, bone, vein in the body and see where it is and learn a little about it. “3D Lessons” is a guided tour of the body. It involves the different parts moving as the narrator speaks. Useful and interesting. “Body Part Viewer” is mostly a waste of time. Its useful if you know a specific body part by name but other than that, uninteresting, too much text, and the visuals are too small. Stonehenge – free, visually done very well, you move by teleportation and can select the different stones and hear information about them. I like that you can see what Stonehenge looked like thousands of years ago. The guided tour is interesting as well. Generally speaking, it is a great VR experience of Stonehenge. Unfortunately, how many classes are ever learning about Stonehenge? Now that Unimersiv is available Google Cardboard it could be worth a look. However, when it was only on Gear VR it was definitely not enough to warrant the high cost and time expense of getting a class setup going. International Space Station – free, has great visuals as well. Has adequate information about the different parts of the ISS. However, the mechanism for moving around by teleporting is a little weird in this experience. Journey into the Human Brain – this is a digital representation of the brain and takes you on a “journey” from the outside to the inside. For most of the 5-minute experience it is interesting, although there are some design issues with showing parts of the brain in isolation and static. This causes the viewer to have difficulty placing where different brain structures actually belong and how they interact with each other. For instance, at one point you are shown the amygdala. You are not given any context to where it is in the brain and are unhelpfully shown a roundish blob floating by itself. The scenes where you enter the brain are the most interesting, although written text once in awhile could be useful. Overall, not too bad, some hits and some misses. Other Free content – Math VR, Language Room, and their 2D video player are also free. 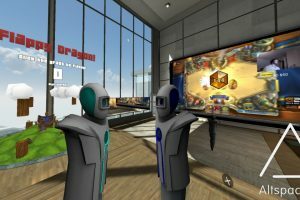 I didn’t get to try Math VR (which is some kind of math game application) or Language Room(you can learn another language by talking to other users, in beta as of April 2017). The 2D video player is just like any other video player you can use in VR except that it is only limited to the educational videos they’ve selected. Premium experiences – There are four of them and each costs $1.99 to access. I did not do this so there is nothing to report except that they are all digital representations. They look like the typical high visual quality that characterizes other Unimersiv experiences. 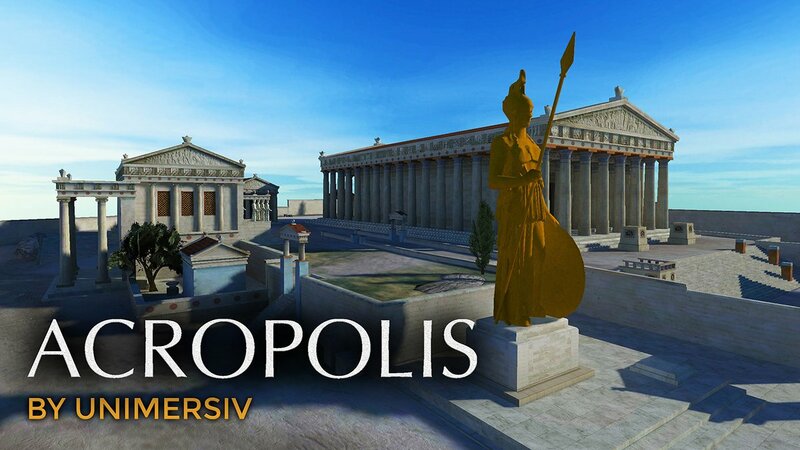 The experiences are: Interior of the ISS, Explore Ancient Rome, Explore the Titanic, and the Acropolis of Athens. VR Classroom – the completely worst part of the app. This part allows you to sit alone in a virtual classroom and be lectured at by some avatar. This is good example of how VR should NOT be used in education. Recreating the current status quo and traditional lecture method of teaching is not something I would want to be “immersed” again. Also, in this day and age of learning through videos on Youtube, Lynda.com, etc. no one should voluntarily sit through being lectured at and forced to watch Powerpoint slides. VR and education is about innovating new methods of learning and Unimersiv’s VR Classroom only replicates the past. The Unimersiv app is definitely on the right track with a few of their applications. Content is visually appealing and they work well within the confines of headset-only VR. If you’re one of the few teachers teaching on the specific content that matches with the Unimersiv app you are lucky! The rest of us will have to settle for a good experience with a few of the offerings and ignore the others. After listening to VR pundits talk from GDC these are three takeaways about the state of VR that could help the education space.